In today’s day and age, almost every job application takes place online. Everything is automated from resume submission to answering questions that give the hiring manager a better idea of who you are. So, if the application process is automated, shouldn’t your job search also be automated? Taking advantage of the tech world we live in by automating your job search is a great hack for getting closer to your dream job. Of course, you don’t want to automate too much, since companies want to hire people, not robots. However, you can use apps to track the jobs you want, dashboards to organize them, and online tools to optimize your resume. We’ve compiled a list of the top 4 tech tools to automate your job search. Jobbuddy.co is a free app that tracks the jobs you are interested in and simplifies the job search. This app allows you to track jobs that catch your eye online and put them all in one place. Then, you can see the job title, company, and your status in the application process all in one place. Jobbuddy is all about making your job search easier and shorter. Being organized will help shave time off your job search because you won’t need to look back at each job posting to find out details. The image below shows an example of a job seeker’s Jobbuddy dashboard. GoJobHero.com is another great organizational tool. It features a comprehensive and personalized dashboard, the option to upload and save documents, an entire job board, and the option to chat with experts about career advice. We recommend downloading the JobHero Sidekick App (for Chrome, Firefox, Internet Explorer, and Safari) for the best experience. The extension allows you to better organize every part of your job search. It’s best feature? You can simply click the icon on the top of your browser whenever you find a job you are interested in, and without taking you off of that page, it saves the job for you in your dashboard. The screenshot below shows how the JobHero app works on an Indeed job search page. Jobscan.co has saddled up with everything thing there is to know about resume screeners (also known as applicant tracking systems) and created a tool that helps job seekers optimize their resumes specifically for them. Just copy and paste your resume and a job posting into Jobscan, and receive a rating for how likely your resume is to get past applicant tracking systems. You will get tips for improvement and a list of jobs that are a good match for your resume. Plus, you can make your resume visible to recruiters by checking a box. This is a great feature because as a job seeker, you should always be thinking of ways to increase your visibility. 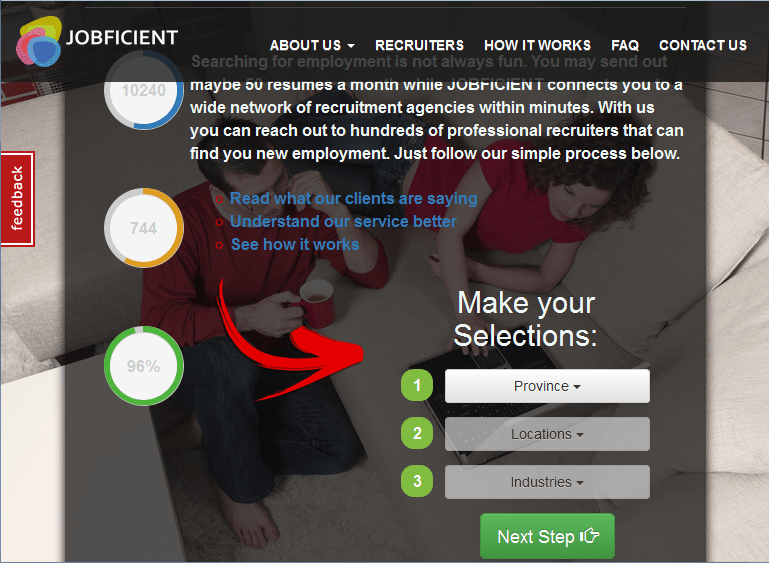 Jobficient.com automates your resume submissions. Professional recruiters have become a major part of recruiting. Of course, LinkedIn is a hub for recruiters who are searching for potential candidates, but did you know that recruitment agents will get paid only after you got employed, so it is in their best interest to find position for you as fast as possible? Resume distribution system is a major time saving tool for your use, reaching to a wast database of recruiting professional will drastically improve your odds of finding great employment. In today’s tech age, automation is way to go. Be deliberate about saving your time by using this tool. Check out an example of a Jobficient entry page below. There is no reason to make the job search process harder than it needs to be. We all live busy lives, and truthfully, a job search can start to feel like a full time job. To make things even harder, many people are going through that process while still working full time at their real job. Automating your job search using top of the line apps will help keep you organized and efficient during your job search.